FOLLOW UP MEETING TODAY 22ND JANUARY 2019 IN CHESTER. In July 2017, Peter Osborne MBE, Life President of Walled Towns Friendship Circle, founded in 1989 in Tenby (now European Walled Towns) proposed funding what he has called a ‘Walled Town Heritage Commission’. Contact point is David Bruce. Peter Osborne’s vision is for each walled town to keep their heritage alive through the generations by getting the children of the town to inspire their parents and elders. But who will inspire the children? Working with or selected from among primary and middle school heads and teachers, or perhaps more specialist secondary teachers, local walled towns heritage ‘Advocates’ will be charged with this role. 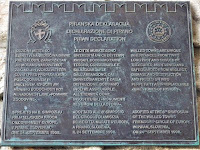 To generate this series of essentially local initiatives, David Bruce on behalf of Peter Osborne has invited a small group of Walled Town heritage specialists, all active and/or former members of European Walled Towns or associated with member/former member towns to form a Walled Towns Heritage Commission to appoint a roving ‘Commissioner’ who will prepare guidance for and visit walled towns to promote the initiation of the local advocates as well as developing longer term funding proposals to extend the initiative. Based on earlier versions of this paper a meeting was convened in Berwick-upon-Tweed on 18th October 2017, at which the Walled Towns Heritage Commission was established. To generate a series of local initiatives, within the isles of Ireland and Britain for identifying local advocates of the heritage of the walled town, particularly for local schools, as well as developing longer term funding proposals to sustain the activity. This purpose is to be achieved in the light of and building on the three foundations of the Piran Declaration, the Canterbury Accord and the objective “to have a continuum beyond our own lifetimes” (John Price MBE) of ‘The Young in the Shelter of the Walls’. To achieve this purpose, these invitees, as individual Members of the Commission (not normally as representatives of their towns) are making arrangements to fund and manage the work of the roving Walled Towns Commissioner (WTC). Further co-options may be made in due course. Should any one of the Members taking on paid work for the Commission, he or she will need first to resign their Membership of the Commission. Membership of the Commission is limited to twelve. Developing the declaration we can say that each walled town is a unique inheritance[ ] from times long past. Emphasising the importance of conservation and heritage interpretation to treasure, maintain and safeguard from neglect and destruction each walled town needs plans and programmes to pass on that heritage into perpetuity as irreplaceable 'Timestones of History’. This will help ensure that different heritages, present or potentially present in a walled town are fully and fairly included. To quote UNESCO’s NARA Declaration (1996) “the heritage of one is the heritage of all”. There is risk that local heritage can just encourage a chauvinism, inimical to outsiders, migrants and refugees. 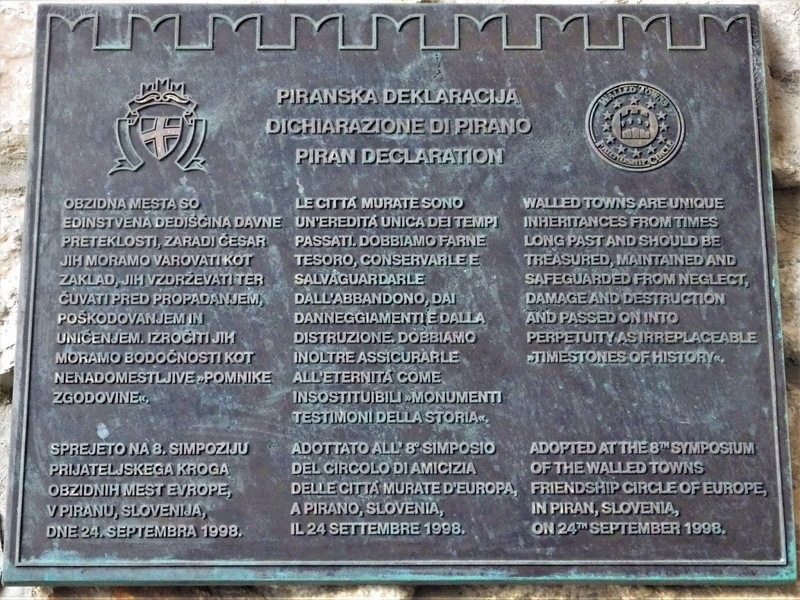 Scrolls of the Piran Declaration, Canterbury Accord and “The Young in the Shelter of the Walls” Intent, adapted to the individual walled town might be awarded to school children or others associated with this project. 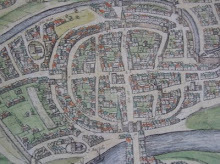 In England, each Walled Towns Heritage Advocate will in many cases be able to work with a local councillor ‘Heritage Champion’ as promoted by English heritage but will be distinguished from that role as (1) independent of the local authority and not time limited by the electoral cycle and (2) focussed on the walled town or walled town centre itself and the associated gates and towns walls. Similar relations with local authorities and national heritage bodies are expected to be built up in Ireland, Wales and Scotland. CADW in Wales is understood to favour a similar approach. Recognising that every walled town will be at a different level of heritage awareness and have different patterns of schools and colleges, the work of the roving Walled Towns Commissioner (WTC) will be expected to adopt appropriate approaches, using existing and developing local walled town contacts. The aim will be to identify the local advocate and support him or her carrying on the work of promoting walled towns conservation to future generations. The WTC’s work might be rather like that of the Education Officer of a Museum. The Commission is setting a brief to develop and realise the work of the roving ‘Walled Town Commissioner' (WTC). This work of researching and generating the Teaching Pack/App for the use of the local ‘Advocate’ of walled town heritage, will initially be funded from a small fund managed by the Walled Towns Heritage Commission. The work will include developing the concept, making personal contact with relevant and useful people in each walled town and bidding for continuation funding. for (final) year of Primary/ Middle Schools close to or within walled towns. In consultation with ‘Advocates’ set up in at least four walled towns in Ireland and UK working with say (or at least) six primary or middle schools, the Teaching Pack/App will be local but must also be more broadly applicable and capable of being replicated and developed year by year into the future. 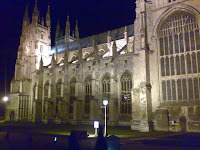 digital elements and virtual tours etc. perhaps giving substance to the phrase ‘artificial inheritage’ coined at the Berwick symposium. An individual commissioned to fulfill this brief will be given the title of ‘’Walled Towns Commissioner’ and will be paid for successful intermediate outcomes and for the Teaching Pack/App itself within a specified time limit. The work throughout will be guided by and reported to the Walled Towns Heritage Commission (WTHC). 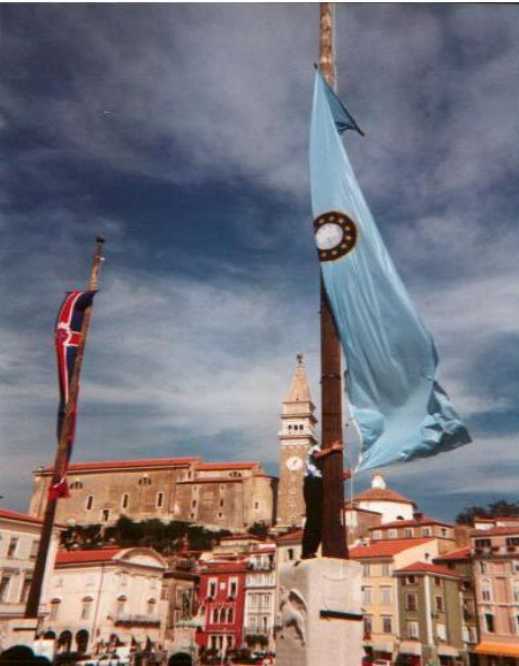 The Walled Towns Heritage Commission will thus mark, in Ireland and Great Britain, the 20th Anniversary of the Piran/Pirano Declaration by promoting and conserving the walled town heritage and passing it ‘on into perpetuity'. 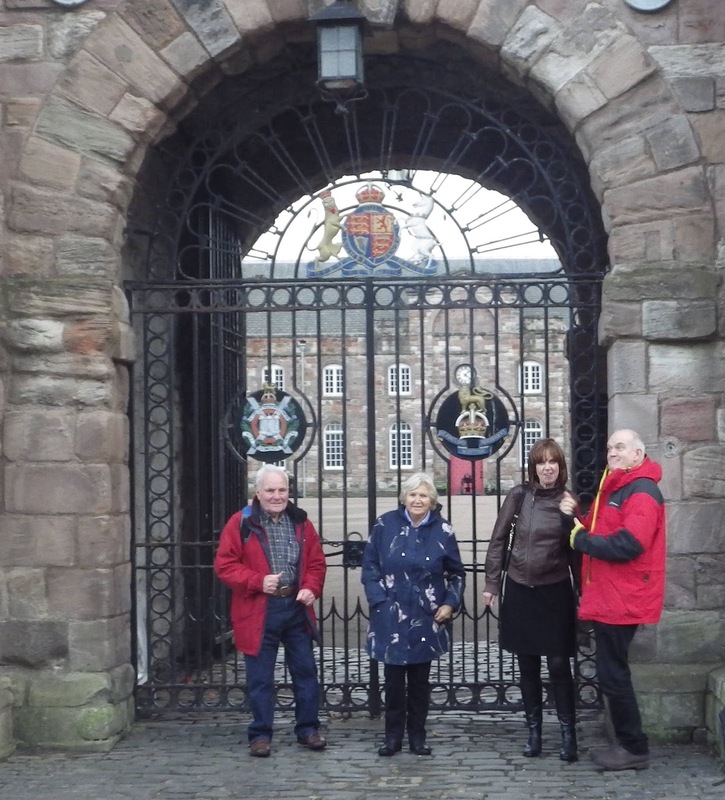 Supported by the work of the Walled towns Commissioner, the ’Advocates’ appointed will explore the history and heritage of their own specific walled town with their own young people - generation by generation. Local schools, particularly primary and middle schools will be the key to transmitting that walled town heritage, in effect making it a localised part of the 'national' curriculum. Jul Peter Osborne MBE, Life President of Walled Towns Friendship Circle (now European Walled Towns) expresses the idea. · Aug/Sept David Bruce develops the proposal and responds to Peter 0. · Sep Invitations to steering group to respond with comments. · Oct Publically announced proposal at Berwick Heritage Days 18th-19th October. 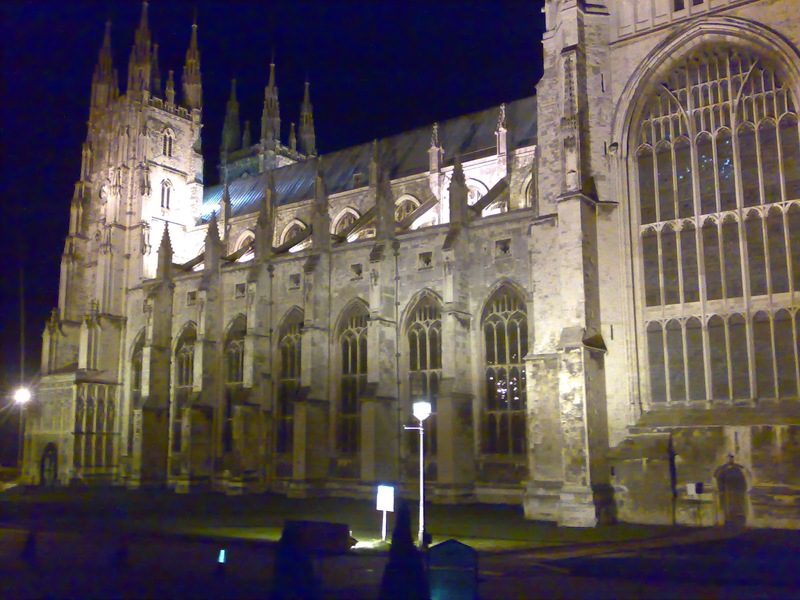 The Twentieth Anniversary of the Piran Declaration and Tenth of the Canterbury Accord. · Mar-Final agreement of Brief for work of WTC. · Sept - Draft applications to funding trusts etc. · Sept - First report and presentation to the European Walled Towns symposium. · Oct - Report to Berwick-Upon-Tweed Heritage Days, which will include draft or even published Teachers’ Pack/App for their local walled town heritage with trial implementation at selected schools local in or close to a Walled Town. In the light of expected BREXIT in 2019, we feel that an ‘all islands’ approach including both the UK and the Irish Republic is best as it will retain an overlap with both the European Union and the UK, which is very important to certain of the walled towns and important to all of them in these islands. https://historicengland.org.uk/advice/planning/local-heritage/heritage-champions/what-is-a-heritage-champion/ for details of this role and a wealth of advice on general heritage promotion.